I believe it was – WOW! With the prices of professional grade equipment and photo accessories dropping, it’s no surprise that the number of photography enthusiasts seems to be skyrocketing. Thousands of travelers straddle the fence between hobby photographers and serious amateurs. Here are a few items to channel your obsession with photography down the right path. Chances are you already have a digital point and shoot camera that serves you well. But to truly inch yourself closer to the high quality travel photography you salivate at, you must be willing to invest. 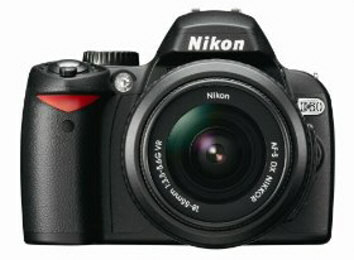 For starters, get yourself a solid DSLR camera between the $450 to $750 price ranges. DSLR which means digital single-lens reflex refers to the technique with which light is captured using an automatic mirror and pentaprism. Sound like technical jargon to you? PCMag.com breaks down the concept of DSLR technology in layman’s terms. In a nutshell, most professionals use DSLR cameras to create topnotch photographs. Beginner cameras usually come with a small 18-55mm telephoto lens which is sufficient for most of your photographic needs. The two leading brands are Nikon and Canon. Choosing which brand to invest in ultimately boils down to a matter of personal taste. Most photographs are taken with a mild, mid-range telephoto lens. They have a narrower field of vision that more closely mimics our natural line of sight. These types of lens are great for portraits which represent the majority of the photos we all snap – family and friends. Professional photographers opt for wide angle lens which give you a wider line of sight and range to capture more of your surroundings. Wide angle lenses draw you deeper into the action and are perfect for landscape and scenery shots. However, by flipping your camera vertically, the wide angle lens works just as well by capturing a larger area – from the flowers and grass at your feet up to puffy white clouds in the sky. I currently own a Sigma 10-20mm f/4-5.6 EX DC HSM Lens for Nikon Digital SLR Cameras. Third party lenses are a lot cheaper than lenses manufactured by the same brand. Sigma also makes lenses for Canon cameras. We learn best by trial and error. More importantly, we can minimize the number of errors by learning from others who’ve been down the same road. Seek out solid photography books for inspiration. 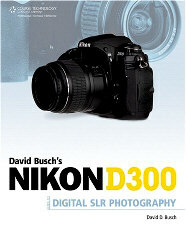 I recently got a Nikon D300 and bought David Busch’s Nikon D300 Guide to Digital SLR Photography. This guide will teach me all about the new functionality nestled within the D300 – from quick tips to cool tricks my camera is capable to performing. There is a slew of photography books you can buy; from vibrant, jaw-dropping coffee table books like Through the Lens: National Geographic’s Greatest Photographs to practical step-by-guide guidebooks on creating your own jaw-dropping photography. As you foray deeper into the troughs of photography, you probably want to start snapping a wider variety of shots. Thoughts of trying your hands at some night photography might have crossed your mind. Night scenes with moving traffic against stationary lit-up buildings are tricky to capture. Some lenses come with vibration reduction technology, but nothing beats placing your camera on a tripod for absolute steadiness. 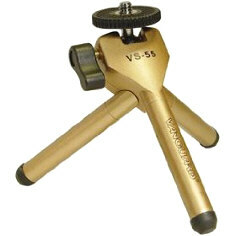 Buy a mini tripod that tucks away conveniently into your camera bag. On that cool night when the glare of the moon perfectly illuminates the sleeping village below, you’ll be glad you bought that tripod. 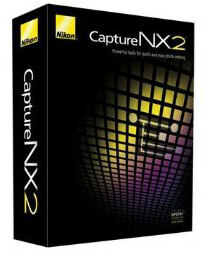 Since most digital SLR cameras allow you to capture images in a raw, unprocessed format for optimal flexibility, you can invest in photo processing software such as Nikon Capture NX 2. For $149.95, you get a box of functionality and transformation tools to help you get the most mileage from your photos. If you’re not quite ready to leap into serious editing, consider Free Photo Editing Software to enhance your travel photography. Be sure to check out 5 Essential Tips for the Budding Photographer and The A-B-C-D-E of Travel Photography.